As President of Fathom Resources, LLC Ward is responsible for oversight and management of all company departments, field work, client relationships and daily administration. 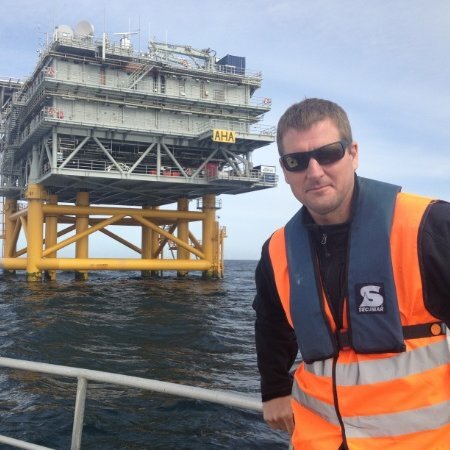 Experience as the project manager of over 100 marine related projects ranging from Florida to Maine and the Great Lakes, in fields of commercial and scientific diving, geophysical and geotechnical survey, archaeological investigation and protected species and commercial fishery management. Commercial Diver, training and certification Commercial Diving Group, Ltd.
Flat and Horizontal, 1/8th Rod, Wet Shielded Metal Arc Welding Course. Taught to AWS D3.6m. Specifications recognized by Lloyds Register of Shipping, ABS, AWS, CWB, BROCO, CDG, and WW1. CPROX Administrator, Scuba Diving International. CPR1rst Administrator, Scuba Diving International. Sherwood Scuba, Certified Scuba Regulator Technician. PSI-PCI, Scuba Cylinder Inspector Certified. Certified, U.S. Coast Guard, U.S. Merchant Marine Officer (#1153472), Master of Steam, Motor or Auxiliary Sail Vessels of Not More Than 50 Gross Tons Upon Inland Waters; Also Authorized to Engage in Commercial Assistance Towing. FHWA-NHI-130091: Underwater Bridge Inspection Training, National Highway Institute. Fundamentals of Geodesy as Applicable to GPS Surveying, Tutorial #TO3, By Muneedra Kumar, Ph.D., Fellow: International Association of Geodesy. Acoustic Positioning Theory and Operation Tutorial, Kongsberg Maritime. AutoCAD 2004 Level I Certified, Autodesk authorized training center, New England Institute of Technology. Scientific/Technical Report Writing, seminar series on proper grammar usage, reports formatting, reports citations and references, and style practices discussed for scientific and technical reports. The Public Archaeology Laboratory Inc.
Rhode Island School of Design, Continuing Education Program, Digital Photography, Certificate Program Candidate.